The buyer of the Bellefonte facility would get two unfinished nuclear reactors, transmission lines, office and warehouse buildings, 8 miles of roads, a 1,000-space parking lot, and more. 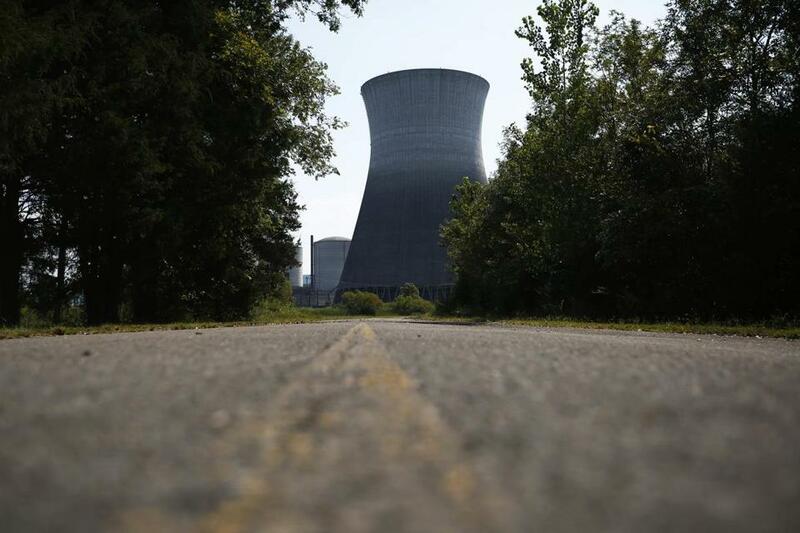 HOLLYWOOD, Ala. — After spending more than 40 years and $5 billion on an unfinished nuclear power plant in northeastern Alabama, the nation’s largest federal utility is preparing to sell the property at a fraction of its cost. The Tennessee Valley Authority has set a minimum bid of $36.4 million for its Bellefonte Nuclear Plant and the 1,600 surrounding acres of waterfront property on the Tennessee River. The buyer gets two unfinished nuclear reactors, transmission lines, office and warehouse buildings, 8 miles of roads, a 1,000-space parking lot, and more. Initial bids are due Monday, and at least one company has publicly expressed interest in the site with plans to use it for alternative energy production. But the TVA says it isn’t particular about what the purchaser does — using the site for power production, industrial manufacturing, recreation, or even residences would all be fine with the agency, spokesman Scott Fiedler said. ‘‘It’s all about jobs and investment, and that’s our primary goal for selling this property,’’ Fiedler said. The TVA hopes to close the deal in October. Nevada-based Phoenix Energy has said it will offer $38 million for Bellefonte in hopes of using it for a new, non-nuclear technology to generate power. The company says its system uses electromagnetic induction energy fields to heat water indirectly and produce steam that would turn turbines and generate electricity at Bellefonte. The sale is bittersweet for site manager Jim Chardos, who went to work at Bellefonte in 1994 expecting it to be finished as a nuclear power plant. All these years later, he commutes 90 minutes each way to work to oversee a plant that has never been stocked with radioactive fuel or used either of its reactors to generate a single watt of electricity. Work began at Bellefonte in the mid-1970s on the backside of the nuclear energy boom in the United States, Chardos said. The utility initially planned to construct four reactors at the site, but demand for power in the region never met those early expectations, and work halted in 1988. A series of starts and stops preceded the TVA’s decision earlier this year to sell Bellefonte. Sales of US nuclear plants aren’t all that unusual; the Nuclear Energy Institute, an industry group, says at least 30 units have been sold in part or whole since 1999. The potential sale of Bellefonte is creating hope in a region where residents gave up long ago on the promise of thousands of good-paying, permanent jobs that were once expected at the plant. ‘‘It was a great thing, but then they just pulled the plug and left, you know,’’ said Hollywood Mayor Frank Duke, who worked at Bellefonte about a decade before moving on. Today, he said, the 1,000 or so residents of his town need a place to work whether the TVA or some other entity owns the property. ‘‘It would help the area as far as land values go. Population would improve; businesses would come in,’’ he said. Chardos said he would still like to see the site used to generate electricity by nuclear power rather than the means proposed by Phoenix Energy, but he won’t be picky. ‘‘It’s all about the jobs,’’ he said. The TVA is a federal corporation created by Congress during the Great Depression to provide electricity generation, flood control, irrigation, and economic development to the Tennessee Valley.